I have begun building a map the small town of Fowler, MI. 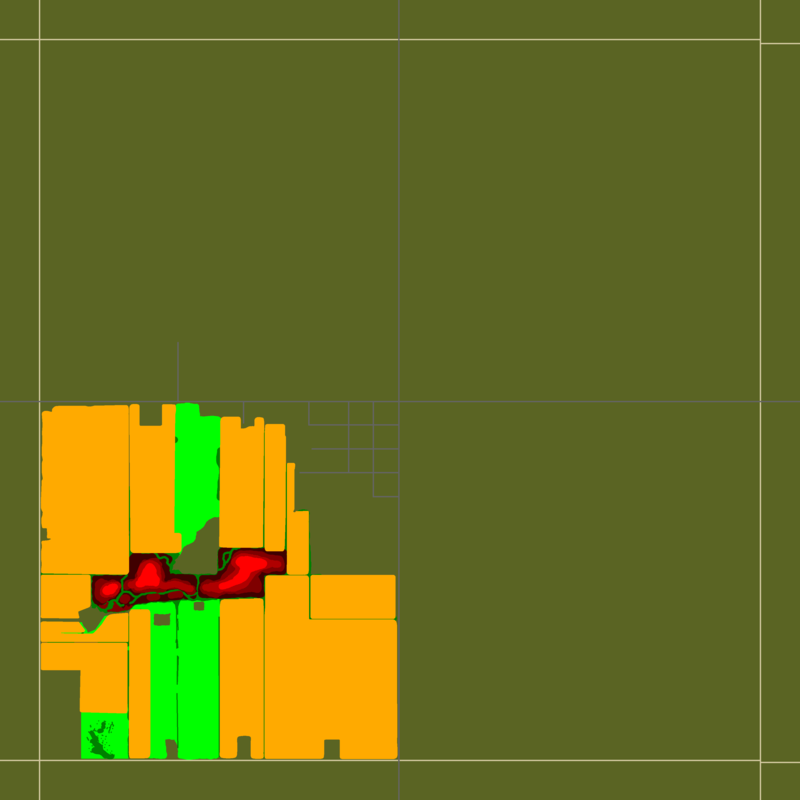 The final size will be 12x12 cells, though large portions of that are farmland. I am currently looking for people to help me make all the buildings. I like big projects! What kinds of buildings do you need? I could make a few whenever I find the time. Just look at the town in google earth, and try to duplicate what you see. Though only a little bit of town can be seen from street view, so you have more creative freedom on the outskirts. It should be pretty easy to match up what I have now to that actual map. I am planning to release the south-west square first, so you should start with buildings there. Once I have all the roads, farms, and forests done, I will start putting together an exact list of all buildings I need and their dimensions.